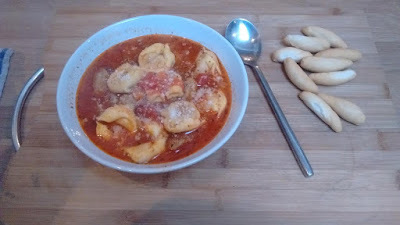 Since making Tortellini en Brodo I've been wanting to try tortellini again but in a soup with more ingredients. So here I am bringing you another Italian soup this time with sausage and vegetables. I love the legend of how tortellini was invented by a man captivated by a young woman's navel who then tried to recreate it in pasta form. Surely not true but a funny story either way! Firstly, you have to do probably the worst thing ever. Peel the casings off the sausages and roll the sausage into small balls. 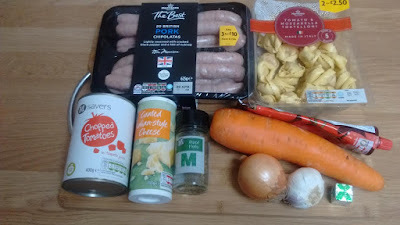 Peeling the casings off is difficult and a bit gross but it has to be done to have delicious sausage balls in your soup, so woman up and get on with it! 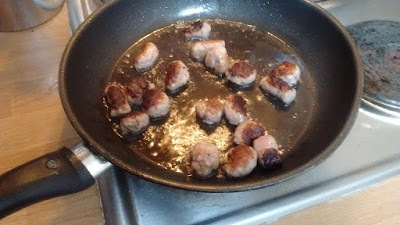 Saute the sausage in a pan and set aside once browned. 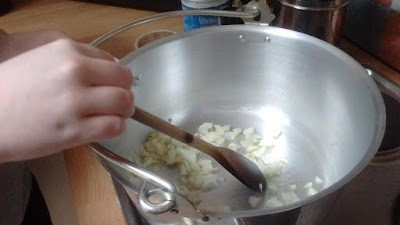 Mine are a bit too browned in the picture because I was juggling peeling more sausage, washing my hands, taking pictures and sauteing at the same time. 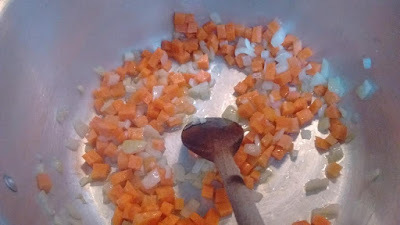 Dice the carrot up small and add that to the pan, cooking for another few minutes. 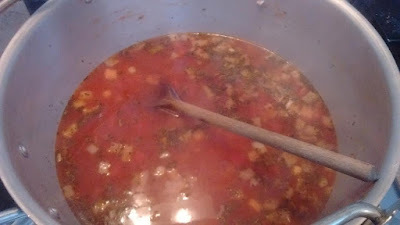 Add the stock, tomatoes, herbs and puree. Stir well. 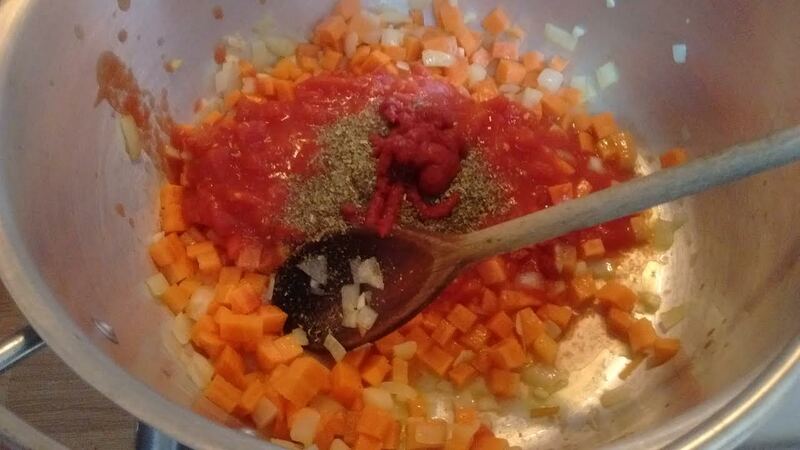 Add the sausage and some water (about 4 cups) then simmer for 30 minutes. Skim off any excess fat and simmer for another 15 minutes. 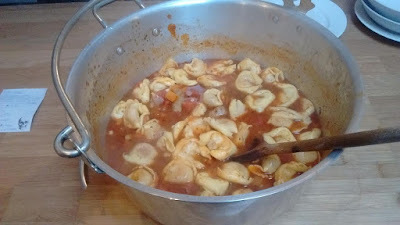 Add the tortellini and simmer for 10 minutes. This soup was great, JD, Leigh and I all enjoyed it. Very comforting and filling with the swollen tortellini floating in the bowl. The sausage is lovely in this dish too, well worth the effort (and displeasure) of peeling it. Quite cheap to make too which is always good. Tasty!